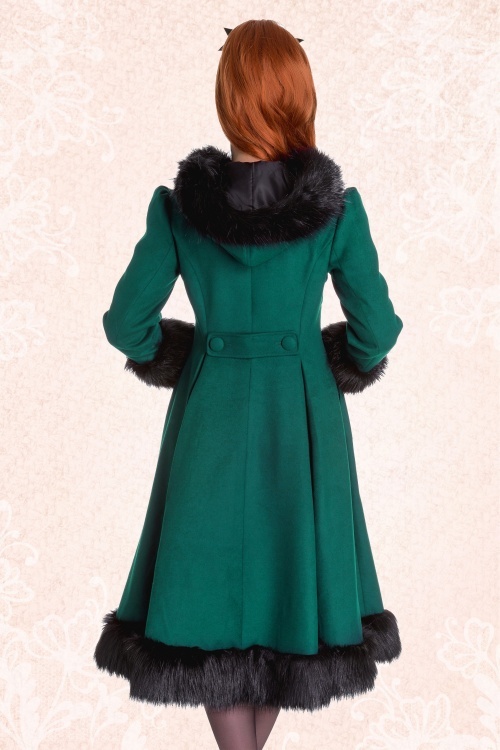 The 30s Elvira Coat in Deep Green by Bunny is an über chic warm coat that exudes pure luxury! Feel like a true Hollywood star with this super elegant head turner inspired by the glamorous 30s! 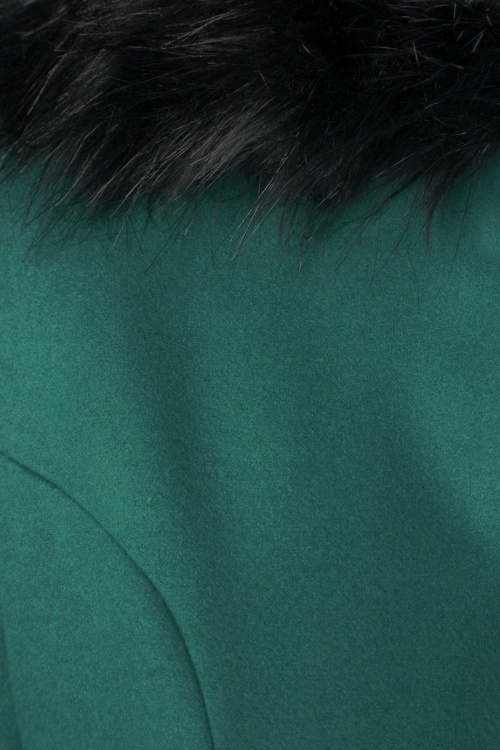 The coat features high quality soft black faux fur trim to the hood, cuffs and hem. 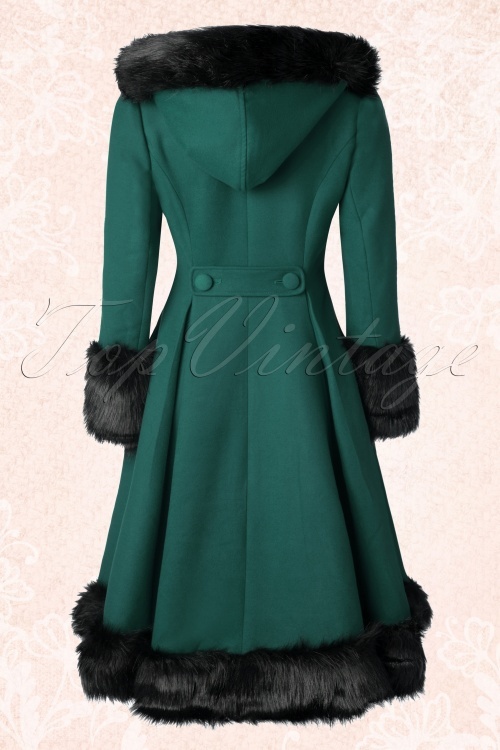 Beautiful feminine detailing; puffy sleeves, button detail on the back, fitted bodice with pleated waist and full swing skirt which will give you a super slim silhouette. Even the inside and pockets look beautiful with its shiny black satin lining! 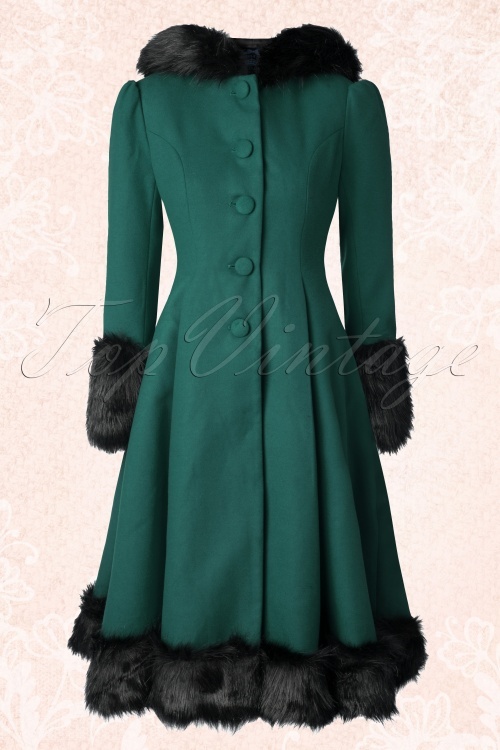 Made from a heavy quality, thick yet supple fabric in dark green, finished off with a row of fabric buttons and hits below the knee with a height of 1.70m / 5'7''. 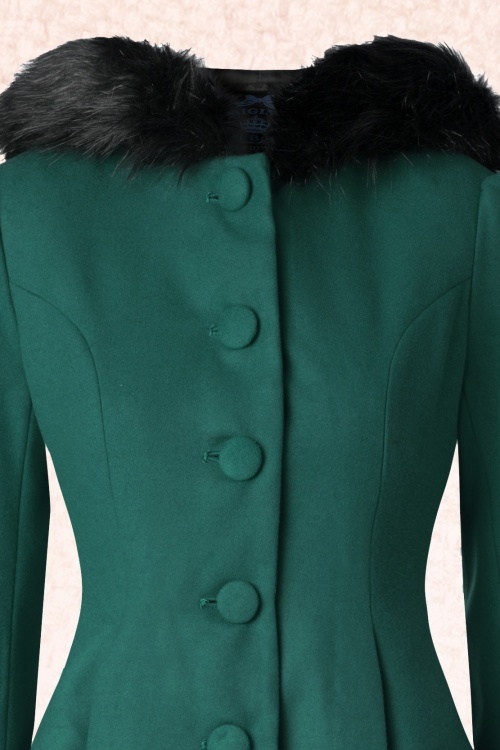 The collar can be buttoned up to keep you toasty in the colder months ;-) You won't regret this stunner!